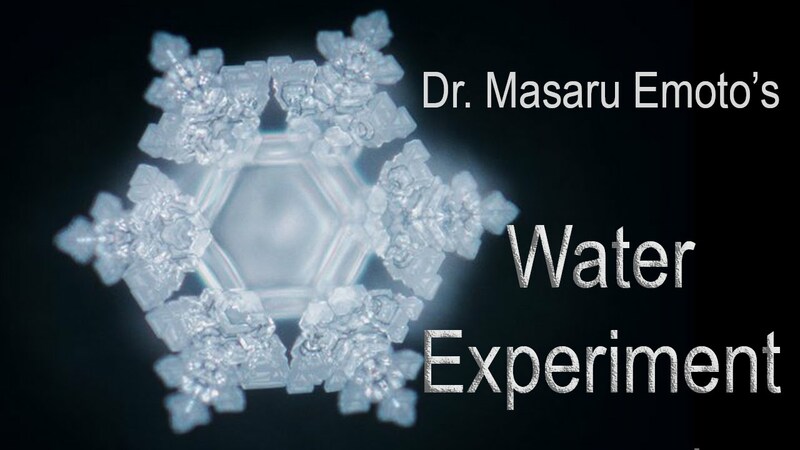 Dr Maseru Emoto is the bestselling author of the books Messages from Water, The Hidden Messages in Water and The True Power of Water. He has spent many decades studying water and how it is linked to our individual and collective consciousness. One of his more famous studies focused on what happens to water molecules when they are exposed to different phenomena – things such as positive words, beautiful music, names of murderers and swear words. He observed how the water molecule responded to these things. He also observed how a water molecule is shaped differently depending on where it has come from – like in a city sewer as opposed to a mountain stream. This study is truly fascinating, particularly because the human body is made up of over 60% water, as is our planet. If water molecules can be so radically impacted by the energy of music, pollution, essential oils, harsh language and so on, what does that mean for us as human beings and for Mother Earth? Dr. Emoto has been visually documenting the molecular changes in water by photographing them microscopically. He freezes droplets of water and then examines them under a dark field microscope which has photographic capabilities. When water was treated with aromatic floral oils the water crystals tended to mimic the shape of the original flower. This is a truly spectacular discovery! From this study we can safely assume that even though we don’t often see immediate results from our prayers, affirmations or incantations, the water in our body is still being impacted by our positive words and thoughts. When we love our body through our words and actions, it responds. We when we love Mother Earth with all of her water, she too responds. Perhaps having seen the evidence of this through Dr Emoto’s study we can begin to truly understand the awesome power that we possess. Through choosing our thoughts, words and intentions we are able to heal both ourselves and the earth. If only we believe. Whether you participate in global meditations, or simply do this inner work in the quiet of your own loving mind and heart, what we have been shown is that we can heal our earth and recreate a clear, pristine world to hand down to our children. Beyond that, by having a daily practice of self-love though positive thoughts, affirmations, incantations, meditation, yoga, being in nature, nourishing our body with energy-rich food, and simply looking at ourselves in a mirror whilst thinking loving thoughts we are able to influence every molecule of water in our body.